Endorsements in political campaigns are a little like chicken soup - they can't hurt, but most don't help much. 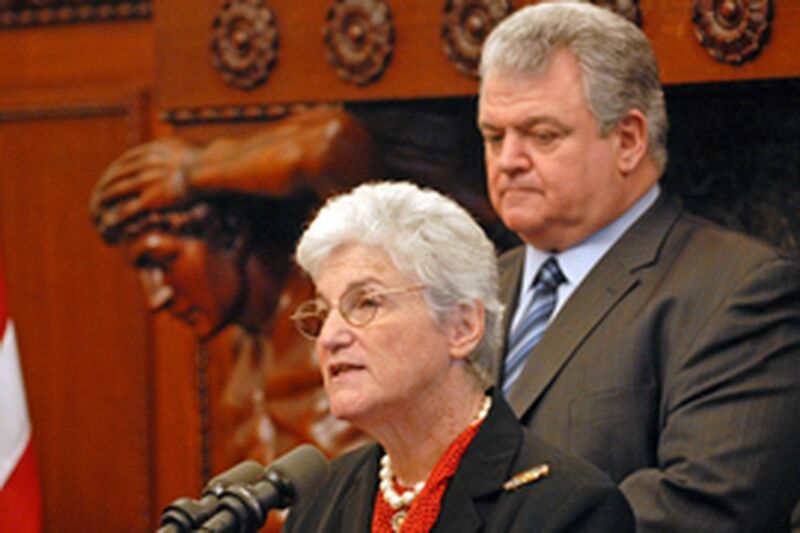 But U.S. Rep. Bob Brady picked up one endorsement yesterday that might be an exception. The nod from District Attorney Lynne Abraham could help his credibility on what many view as the city's No. 1 issue: violent crime. Saying the next mayor must provide relief from "the bloody, bloody Philadelphia that we have today," Abraham yesterday said Brady has the ideas and experience that would make him an effective leader in the fight against crime. Abraham, who has sharply criticized Mayor Street in recent weeks, said the next mayor shouldn't "be accepting excuses, running from one failed experiment at suppressing crime to another." Asked what she liked about Brady's ideas or experience, Abraham cited the summit he called last year of leaders in the criminal-justice system, his support for technology such as security cameras, and "the ability to work with people to get things done." Asked if her endorsement might be seen as political payback for the times Brady and the city Democratic Party he chairs have supported her for re-election, Abraham said, "Nothing I have ever done is for sale for anybody at any price . . . I don't believe in political paybacks." Brady also noted that when Abraham was first chosen interim D.A. by Common Pleas judges in 1991, he hadn't supported her for the job. He had backed Russell Nigro. State Rep. Dwight Evans, a rival candidate for mayor, issued a statement yesterday saying he was disappointed that Abraham had chosen "to support the old political machine and empty rhetoric Philadelphians have grown weary of." Abraham declined to say what she found lacking in any other candidates, but said she'd known Brady for decades.